We have a fleet of modern Krone Euroliners. The flexibility of this kind of trailer means that cargo handling becomes easier. It means that they are perfect if the consignment being loaded is an abnormal shape, delicate, need roof loading or a variation of all the previous. They can also carry normal palletized loads. If a products need to be loaded through the roof by crane the roof simply rolls back to allow access for loading, and then slides back when the loading is finished. Because they can be loaded from the roof and the back as well as the sides they are a preferred option when deliveries and pickups are made from locations without dedicated loading bays which are geared up for regular access by lorries. 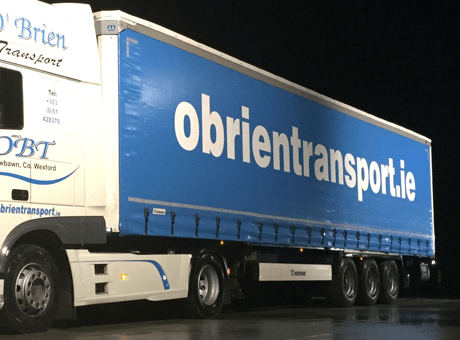 All our Euroliners are 13.6m long and with internals height of 2.7m leaving us capable to provide equipment capable of transporting a wide variety of goods. With the option to open the roof this height can be increased.